I began to notice as we rode into the agricultural areas of Utah that there were a variety of mechanisms being used to get the water from rivers and other sources to the parched land that needed it so desperately. After seeing a few sites in downtown Salt Lake City we headed north and I began to compare the ways to get water to the land. When I was a bare-foot, blond-haired farm kid of 5, the gravity fed irrigation flumes that watered the family farm apple orchard were my personal domain; pretend powerful rivers that could carry a flotilla of stick “ships” and an armada of other things that could float. Since few people have ever heard of flumes, let me explain. Flumes are thin galvanized tin half-pipes that carry water to ditches traversing each row of trees, and then flowing into smaller ditches to each tree. I “helped” my Grandpa keep the ditches from clogging or flooding, or at least that was my job when I was not playing in the water somewhere in the system. 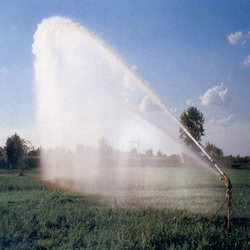 At the time, in 1957, most of our neighbours watered their crops the same primitive way. A few years later, in the early 60s, those same apple trees, which never yielded more than a subsistence living, were being watered by a sprinkler system comprised of 20-foot (7 meter) lengths of 2 inch (5 cm) aluminum pipe fitted with horizontal standpipes on one end of the pipe that hoisted the sprinkler head higher than the surrounding orchard grass. My brother, Doug, and I often traded off changing the sprinklers after each summer supper. We did this chore complainingly (as we did most chores we were assigned). Sloshing about in our knee-high “gum boots” between the trees to ensure that when the pressure valve holding back the water was released the line of pipes held. Sometimes the catch mechanism holding the pipes together would not have been secured properly and water would shoot everywhere requiring someone to run in the sloppy boots to turn off the water so that the breach could be resecured. Many times I was soaked when I tried to jam the pipes together without shutting the water source off. 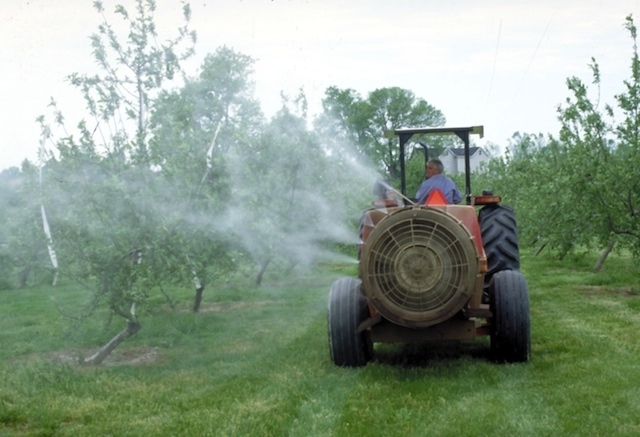 The memory of that cold shower reminded me of my Dad spraying the trees with the pressurized DDT in a sprayer being hauled behind the tractor. There were times when we could not see each other through the green fog descending all around us. There is little guessing about what environmental “trigger” fired my genetically loaded “gun” resulting in my Parkinson’s disease 40 years later. 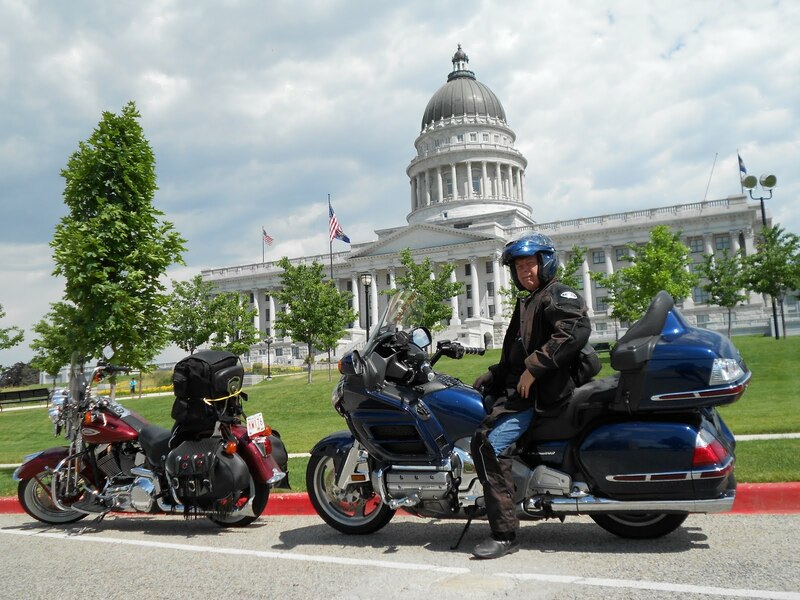 Today we rode our motorcycles the 325 miles (525 km) between Nephi, Utah, and Jerome, Idaho, mostly on Interstate Freeways 15 and 83. But we also chose to ride the rural Highway 30. While the freeways offered panoramic views of dusty dry brown colors, Highway 30 offered field-upon-field of fresh-smelling green, dozens of shades of green. I found the variegated patchwork of green visually intoxicating as the tall-stemmed crops bent in the wind so as to look like waves on a gusty foreign sea. Rather than flumes or sprinkler pipes (although there were still some of those), we saw circle-making elevated sprinkler systems moving on 5-foot wheels and water guns the size of Howitzers firing away at the driest sections of land. 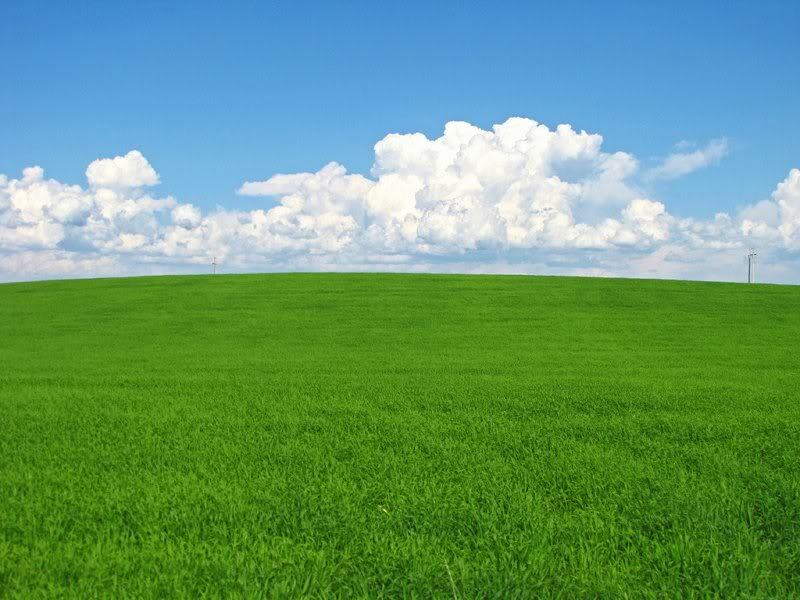 Green really is a wonderfully refreshing color. Water, what a wonder. Free (except for the bottled kind), yet precious. Its presence turns a desert to the delicious. It refreshes my spirit and body, as well as sparking memories of my childhood summer days in the orchards. It was like returning to the Saturday matinee movies and the Western TV shows I watched when I was young. It was the 1960s with movies like “The Good, the Bad and the Ugly” with Clint Eastwood, and “The Magnificent Seven” starring more big names than you could afford today. There were TV series such as “Gunsmoke” and “The Wild, Wild West”. As a kid I had been completely mezmerized by their simple plots and black-and-white characters (literally, as we did not get color television until much later). I had always wondered where this rugged but colorful land was to be found. It seemed imaginary to me. Today, I discovered the wild west terrain that I had once found so harsh and yet attractive. It started with Kanab, Utah, “Little Hollywood” as it was once called, a town I had never heard of before we stopped last night at the “Four Seasons” motel (unlikely to be confused with the more famous hotel chain of that name). Wandering up its main street this morning to find the recommended local breakfast hangout, we discovered plaques near the sidewalk every so often with the name, likeness and short bio of some movie or TV star that had been in town shooting one of a steady string of Westerns filmed there. These ‘shoots’ included everything from the original “Lone Ranger” TV series (1952) all the way to “The Apple Dumpling Gang” (1969) and dozens of others. The red-stained bluffs and sagebrush gulches near town were perfect for this now almost lost genre of films and television. But my imaginary return to the showdown sagas and dramatic, guns blazing, chase scenes on horseback did not end there. North a few miles was Bryce Canyon, a geographic marvel that is more than just a miniature Grand Canyon. It is unique in its delicate spires and natural bridges and wind-carved passages. Breathtaking, it could not be described adequately in words or in any photograph. 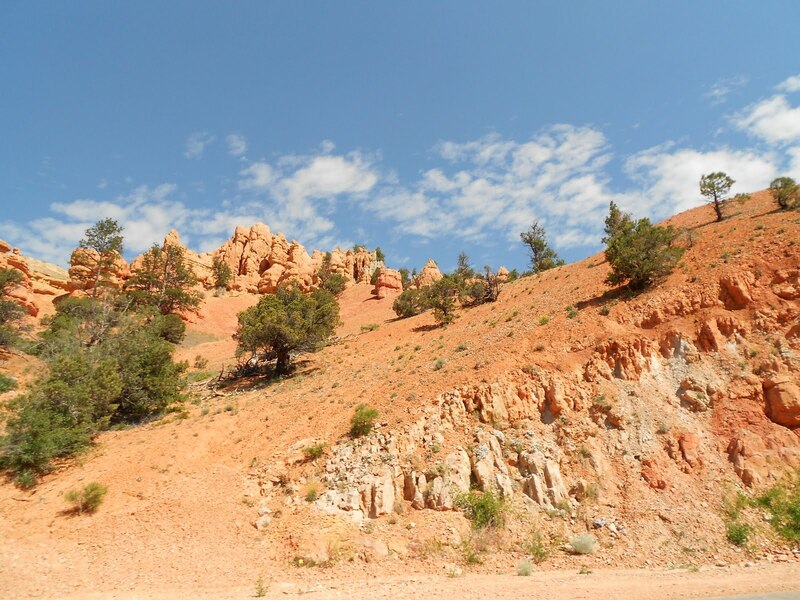 But even before we entered Bryce Canyon we snaked through Red Canyon, embedded in the walls of which stood silent vermillion-colored warriors, waiting to swoop down on unsuspecting travelers, as did the areas Native inhabitants 150 years ago. After our jaw-dropping visual encounters of the morning, and lunch at Bryce Canyon City, we headed northeast on Highway 12 where the scenery was so varied and fantastic it was hard to remember where we were. There were multi-colored rocky ravines, sheer streaked-red cliffs that hung ominously over our progress along the highway, lush green valleys where water had been diverted to fields of grain or alfalfa and barren mesas that grew only scrub and clumps of dry grass. The riding was some of the best we had encountered. It included sharp-cornered alleyways through rock ravines and knock-down gusts of wind threatening to push us off ridge-top roads. There were no guardrails, or anything else, between a slip on a shiny tar strip and becoming embedded in the rocks a thousand feet below. 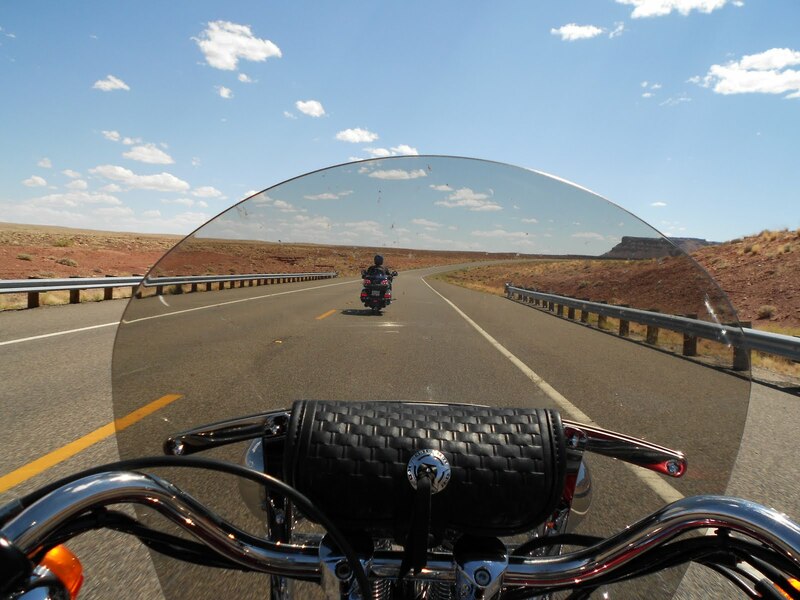 Daydreaming is not encouraged when riding motorcycles, especially if the biker has Parkinson’s disease. But images of my Western heroes crept into my mental spaces, forcing out the Knight of the Open Road imagery. My Big Blue was now a lightning-fast Palomino pony as we pursued a fugitive from justice through rock-rimmed ravines. Unfortunately, free-range cattle were, and apparently still are, a part of reality to be taken seriously. Whether due to old-fashioned stampede or a simple bovine miscalculation of the speed of highway motorcycles, mishaps did, and still do, occur. Regardless, the day was a glorious modern equivalent to the Western adventures I enjoyed so much 50 years ago. I have now taken in 430 miles (515 kms) of the Wild West and will not soon forget its beauty. Grandfather, grand slam, grand prize and even grand adventure are terms of significance and even respect. 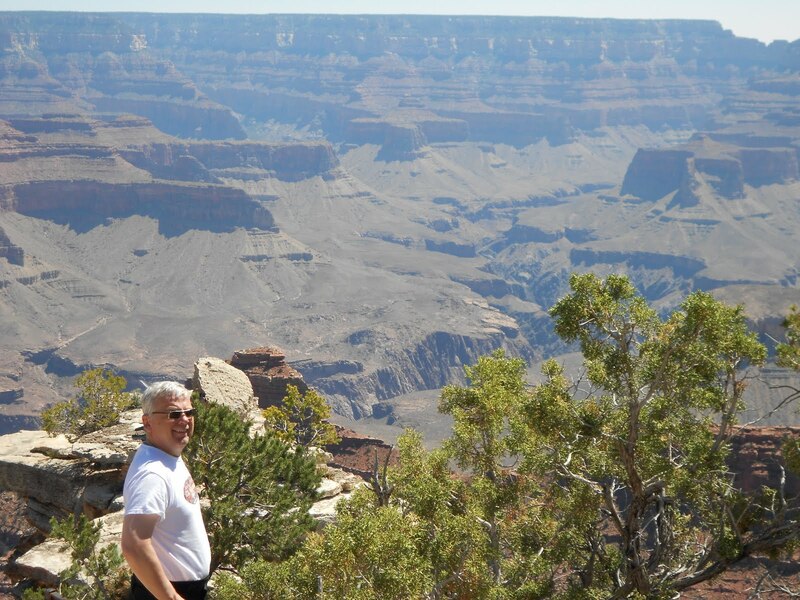 But “grand” is too weak an adjective, woefully insufficient to describe the panoramic, majestic grandeur of the Grand Canyon that I saw for the first time today. In fact, words simply fail to adequately describe this most wondrous of the seven natural wonders of the world. Its 277-mile length, 18-mile width and 1 mile depth are only its physical dimensions, immense though they are. Add the rainbow of colors, the linear artistry, the symphony of raucous but earnest water (the Colorado River) from which grew the silent, charactered cliff walls and it is no wonder the early Native Americans thought this place was holy. I was speechless, captivated by its mystic and marvel, spellbound by its scope and symmetry. The scene’s vast and fierce beauty devoured each photographic attempt to capture its magnificence. I immediately felt inadequate, as if this great gorge had echoed into the chasm of my own insignificance. Intimidated, I still found my stare fixed to the Canyon’s distant floor as if drawn there by a magnetic force. We arrived there before 10 AM, having enjoyed climbing the somewhat cooler heights north of Flagstaff, Arizona. Plenty of swooping curves and pine forests to enjoy, the ride was reverent and quiet, allowing me to breathe easily while anticipating the awaiting sight. We stayed only an hour, as if to remain longer we would become enraptured fully by its allure. We needed no souvenirs, for the memory of this place will remain indelible, but I did pick up a sunburn, having forgotten that my face and arms had been shielded by helmet and gear until then. Everything we considered doing next seemed limited as we debated our next destination while sharing a huge “Navajo Taco” at the Outpost near Cameron, Arizona. Deciding that the days of extreme heat could end now without regret, we headed north, by Lee’s Ferry, around the eastern end and northern ridge of the Grand Canyon. 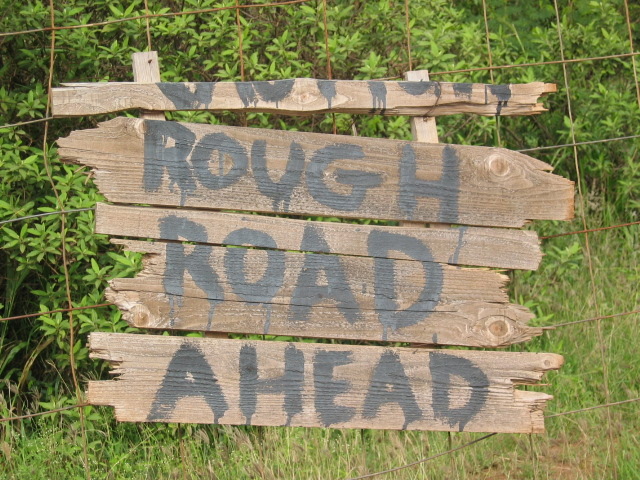 The road was challenging in places, but offered plenty of opportunities to view the untamed ruggedness of this land. We ended the day’s epic experience in the southern Utah town of Kanab. Given that we had heard many languages since coming to the area, including some Londoners who enjoyed being photographed on our bikes, we were not surprised to be seated next to a tour of Australian 18-to-35-year-olds at supper. After the huge meals of ribs, rib eye steak and skewers of shrimp we retired to our humble room where we recounted the day and this last week’s events. We have truly been blessed. 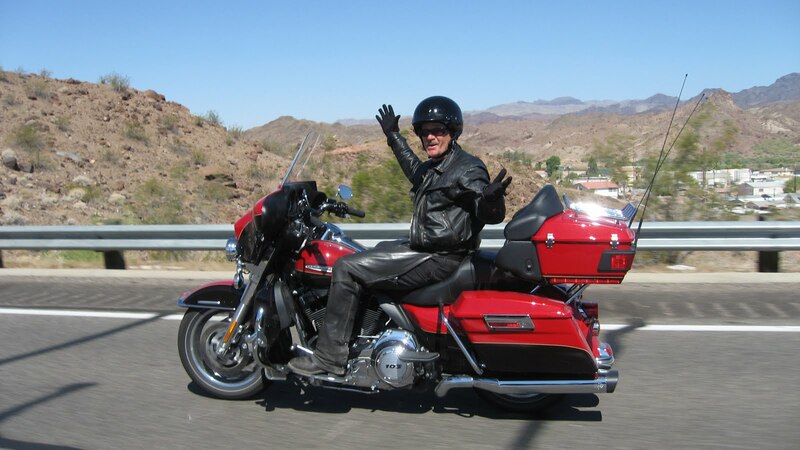 For me, I felt a renewal in my commitment that as long as my Parkinson’s disease does not prevent me I will ride with the Knights of the Open Road on the grandest of adventures. Many of the small towns that dot the high plains east of Palm Springs and the deserts of Nevada and Arizona have long since passed their heyday. These lonely roads are lined with dilapidated buildings, most of them boarded up, and create an image that I imagine as being similar to the Dust Bowl of the Dirty 30s. There are shopkeepers with insincere smiles and looks of desperation in their eyes, anxious to make any sale they can, even two bottles of water for thirsty bikers. These are the kinds of communities, if they can still be called that, which we passed through on the secondary roads that we chose to travel today. Of course, there is the mandatory reduced speed through the tiny villages, but this rarely encourages anyone to stop. There is a sense of hopelessness being mixed with the stale, hot desert air hanging over the homes and businesses we pass. 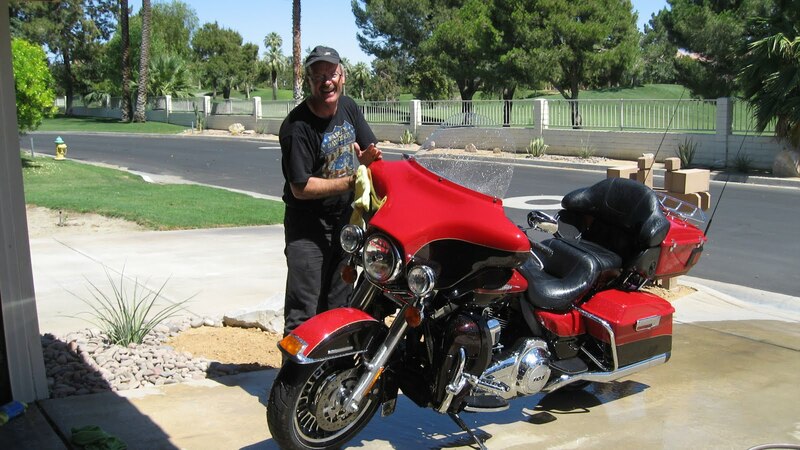 We left Palm Desert at 8:30 AM, the sun already high enough in the sky to have superheated chrome on our freshly washed motorcycles as they waited for another day's adventures. 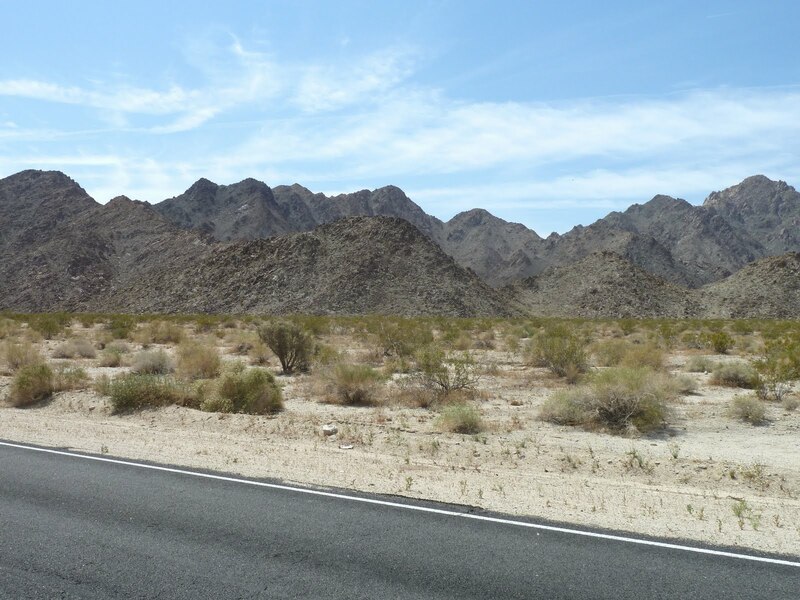 As we headed east towards the Arizona border, we traveled on Interstate 10, taking notice of several virtually unused off-ramps that appeared to empty onto dusty unpaved roads leading nowhere in particular. Turning onto Highway 60, we began to see tired settlements that may have had rich histories, but have no apparent reason for remaining where they are. Places with names like Salome and Wenden. But as we continued to climb in altitude, we began to breathe easier as the temperature dropped to 34°C (88 degrees Fahrenheit) for the first time today. Farms appeared to be utilizing irrigation, and looked like formal green tablecloths in stark comparison to the desolate terrain that surrounded them. There seem to be two types of towns here. The small ones, haphazardly hanging on to some reason to exist, and the medium-sized and larger ones that, despite numerous signs of economic hardship, seem to be making a go of it. But my perspective for the day was about to be shaken on a couple of fronts. 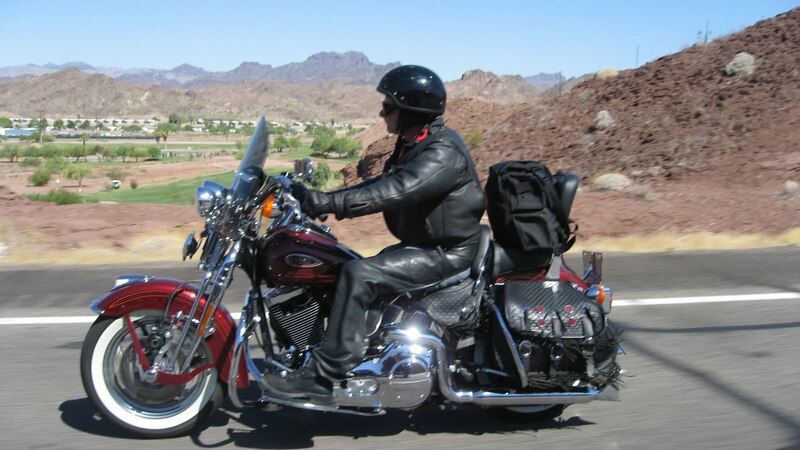 Jim knew of an excellent motorcycle road, Highway 89A, which went up from the Prescott Valley, across Mingus Mountain to Sedona, the upscale artsy Mecca of Arizona. 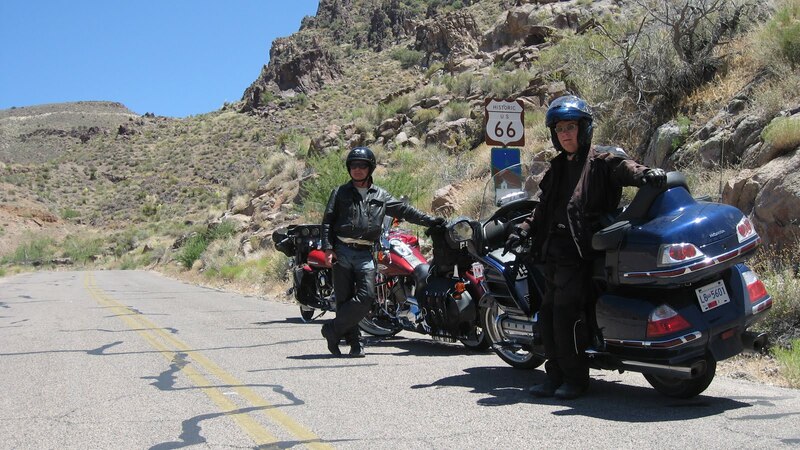 We took what some say is the best motorcycle road in Arizona with eagerness, having spent much of the last several days in the desert landscapes with little in the way of exhilarating motorcycle riding. One of my favorite rides ever, with many, many corners ranging from 10 mph to 35 mph (89A has 158 curves in the space of 12 miles). Surprisingly, there was very little traffic and superb road surface conditions, which allowed the two of us to push our bikes just a little harder than normal (foot pegs may show a little more wear). We were ecstatic. 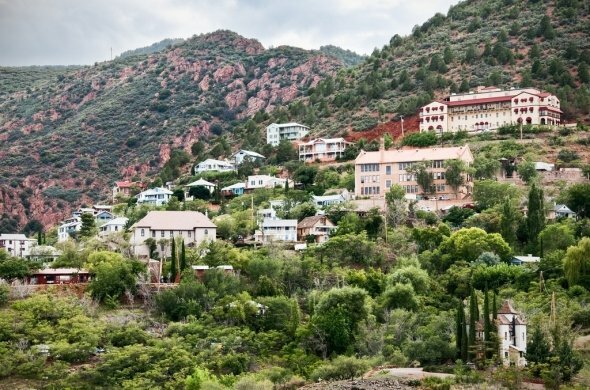 But Jim had not prepared me for the town of Jerome, found partway along Highway 89A. Once a bustling copper mining city with a population of 15,000 people, the community had been built on site, "a mile high" up Mingus Mountain, with stunning views. But it shrank to less than 50 people in the 1950s after the copper ran out. 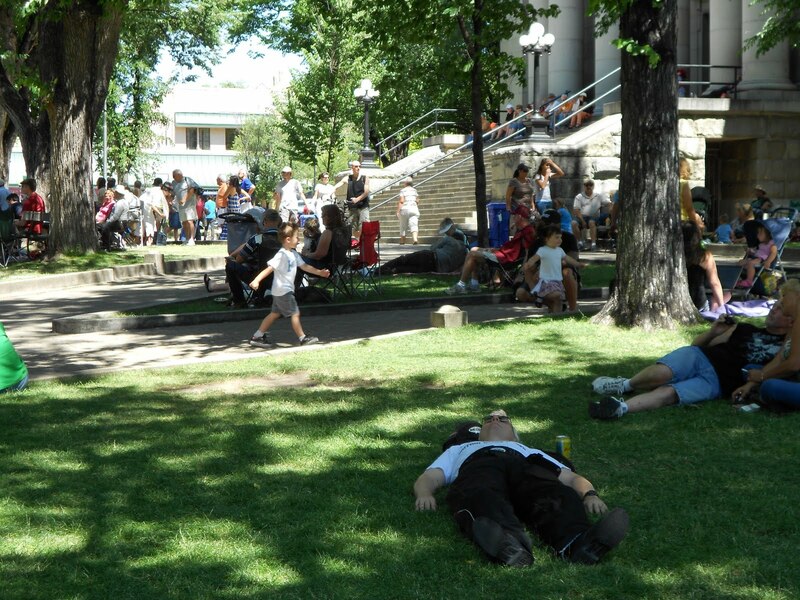 Somehow in the 1970s, by utilizing the town’s unique location, Jerome's town council rejuvenated the dying community, turning it into a thriving destination vacation and day trip center that today was filled with visitors climbing up and down the steep streets to explore the heritage buildings and shops. Just seeing it flourish was encouraging after the bleak pictures of the small suffering desert towns we had passed through. Arriving in Flagstaff, Arizona, at about 5 PM, we were exhausted. Too little sleep last night, too much heat today, the demanding Mingus Mountain ride, and making more miles than we were used to (620 km or 400) all probably contributed to the fatigue we felt. For me, as someone with Parkinson's disease, fatigue is always a factor on these trips, requiring naps whenever I can get them. When I get tired I lose not only some physical control over the tremor caused by the disease, but can also lose some of my perspective, and sometimes, momentarily, even hope. Just being tired can have devastating consequences. But tonight I am encouraged by hand thankful for places like Jerome, which used its unique location, circumstances and history to come back from the brink of giving up. It is a strategy I will consider implementing in the constant battle with my PD. The distance from Lake Havasu City to Palm Desert where we are staying for the night was not a long one, less than 200 miles, even with a jaunt into Joshua Tree National Park. But it was soul-scorchingly hot, making it seem much longer. With several stops (fearing a repeat of the ‘out-of-gas’ sagas), and even with the mostly straight, virtually deserted highway, it took 5 hours, enough time to ponder the significance of the desert. With my head wedged within the confines of my full-face helmet, I traveled today almost entirely through deserts populated by sand and sagebrush. The paradox was obvious: watching wide-open wasteland from inside the small space of the "bubble" around my head. It all seemed surreal, as if I were exploring a moonscape from inside a space suit. In fact, the three of us probably looked like lost astronauts dressed from head-to-toe in black protective gear terribly ill-suited to the 110 F temperatures. Anyone who rides a motorcycle for any distance recognizes that there is an abundance of what I have labeled, "helmet time". That is, when straight roads and traffic conditions allow, one is left alone with one's own thoughts. These thoughts can either pester you, like an incessant itching that cannot be scratched, or spark random ideas that ricochet meaninglessly around in your head and ultimately lead nowhere. At my best, I have learned to cherish these times as if sacred. At my worst I have strangled the experience, as it can be both frighteningly freeing and cruelly convicting. There are no artificial constraints to limit my mental/emotional processes. I am forced to come face-to-face with myself as I really am. Occupied only by the white noise of wind rushing past my visor, I am usually tempted to fill the space with music or distraction of any kind. Today was one of those times, but there were no nearby radio stations and I had not set up my IPod. It became a time to learn lessons from the sand and sagebrush that surrounded me mile after mile. Deserts represent extraordinary potential. They are missing one thing; water. Water could come from a variety of sources: the nearby Colorado River; precipitation or from under the ground. But it is a part of land that has, in fact, been deserted. We are all like a desert. We have unrealized potential, but we are missing one thing. What it is may differ for each of us, but we must humbly rely on sources outside ourselves to supply the “water”. Riding with some great friends over the past 8 days I have realized that they have been water to me, quenching my thirst from time-to-time when I needed it most. As of tomorrow, Sunday, after riding more than 5000 kms (3200 miles), Ralph will fly back to Toronto and our group will shrink to two for the next 8 days. Jim and I will be sad to see him go, but there have been some tremendous oasis experiences already, with more to follow I am sure. At least there was water to wash our bikes. The adventuresome journey of the Knights of the Open Road will continue, with more mountains, canyons, forests and even deserts to come. We get to ride on, at least for awhile. In their day, they were all viewed as marvels of modern engineering, feats of human genius that had become icons of society. By the time we left our Las Vegas hotel the temperature was well into the 80s and climbing. 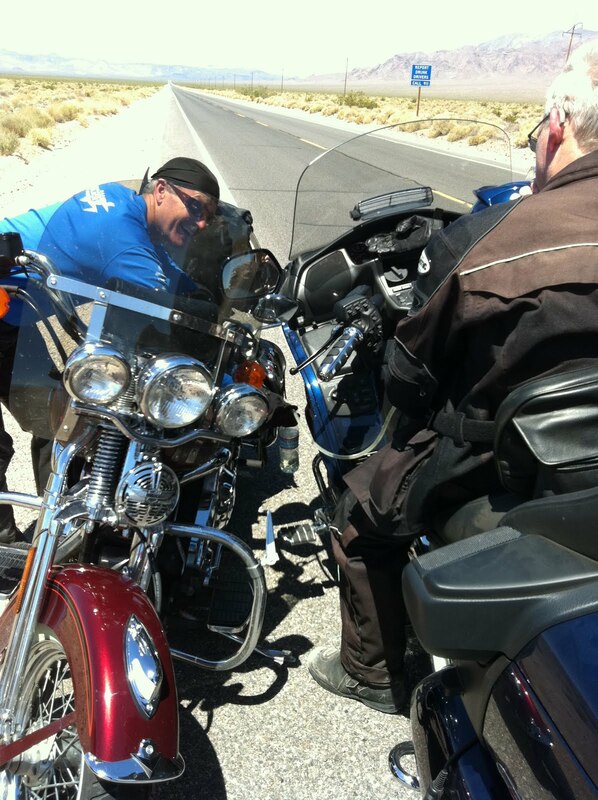 The familiar hot wind immediately dried our eyes as we rode east to Boulder City. After a quick breakfast and a little playful photo opportunity with a local street sculpture, we climbed back into our already sweat-soaked motorcycle gear and headed for the Hoover dam. Straddling the Arizona/Nevada border, this 1935 monolithic structure is imposing even by today's standards. We were left to imagine how this depression era work program actually accomplished the construction of the largest concrete structure in the world at that time, 2 years earlier than expected and under budget. It still provides a significant amount of electricity, while at the same time protecting downriver land against flooding as well as providing irrigation, all part of its original purpose. High above the dam arches the new Tillman Bridge (named in honor of the football player turned soldier who was killed by friendly fire in Iraq). Until its completion in 2010, traffic on Highway 93 had been seriously constrained due to post-9/11 security concerns, as well as the road width that traversed the top of the narrow dam. At 840 feet (360 m), the bridge is the second highest in the United States, and the longest concrete bridge in the Western Hemisphere. While it claimed only one death during its construction, as opposed to over 100 deaths, during the construction of Hoover dam, this bridge was not built on time or on budget. 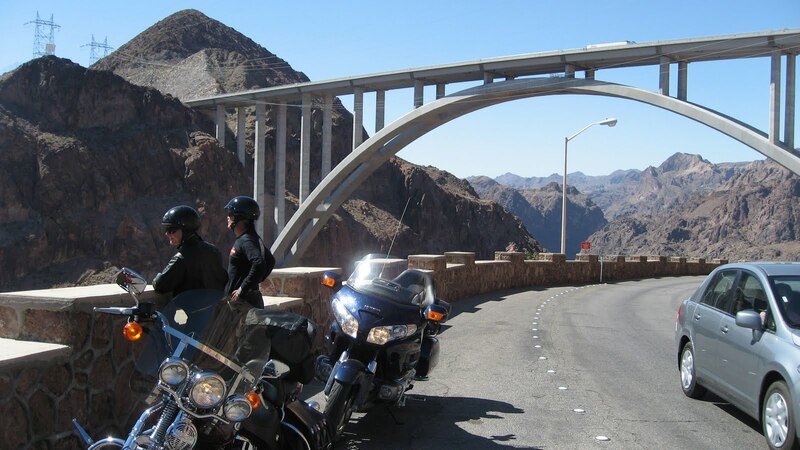 Temperatures were stretching through the 90s by the time we were on the road again, headed for Oatman, Arizona (population 128), a virtually forgotten town with its Main Street straddling a portion of the famous Route 66. 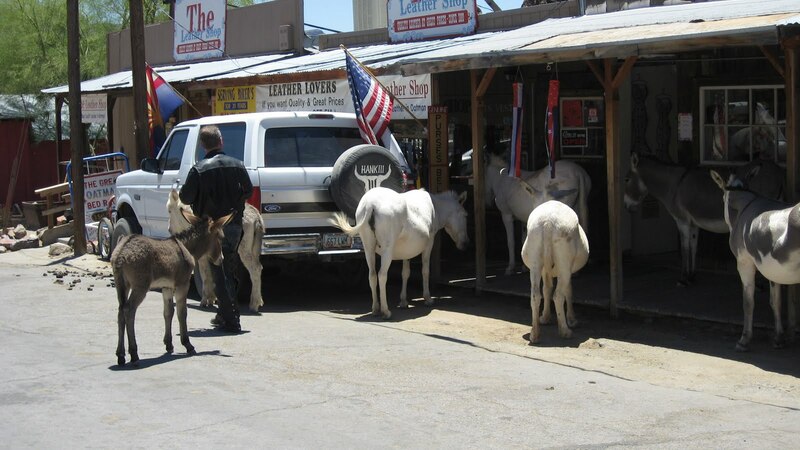 The odd, somewhat disjointed, Gold Rush theme town was as curious as the well-behaved burros that roamed its streets without much regard for cars or human occupants. We had an early lunch, comprised mostly of guzzling down glasses of ice tea to quench our thirst, at the oldest (1902) building in town, the Oatman Hotel, where Clark Gable and Carole Lombard spent their honeymoon in 1939. Leaving the tiny town, with its desperate desire to hang on to its past importance and the tourists it could attract, we ventured out onto what was known as the most treacherous portion of Route 66. This Highway was the main transportation route between Chicago and Los Angeles in the 1930s and 1940s, as well as the subject of numerous famous folk ballads and a 1960s TV show by the same name. I remember watching it with fascination as Martin Milner and George Maharis drove their Corvette over that famous road experiencing innumerable adventures. 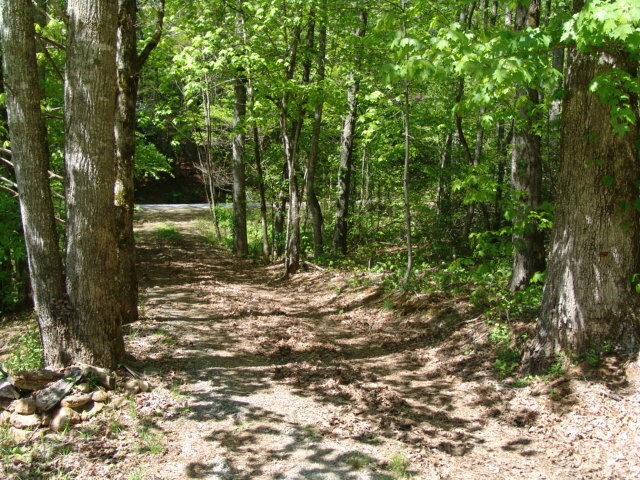 The 10-mile an hour hairpin corners gave credence to the road’s early reputation. The patched pavement, very steep grades and lack of any guardrails reflect nothing of the modern highways to which we had become so accustomed. Ironically, our day ended much as it had begun, with a dam and the bridge. By late afternoon we were exhausted from the heat and decided not to go further, having stopped to enjoy the ritual of a burger at "In-N-Out Burger" in Lake Havasu City. 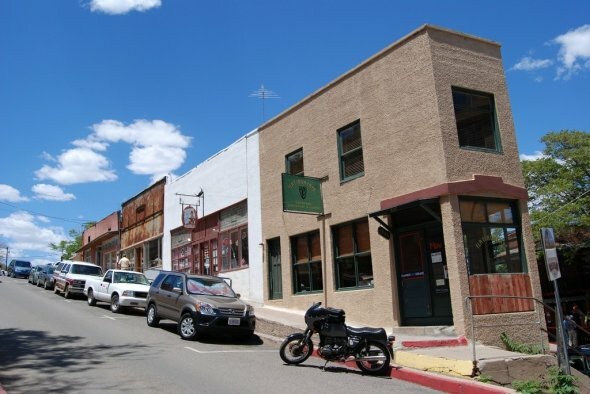 This town was largely developed in the 1970s due to the construction of the Parker dam, and later made famous by the reconstruction of the original London Bridge, imported piece by piece from its original location to Arizona in the 1980s. While we did not visit the dam, the bridge seemed to have lost much of its appeal in the translation, although it is the second most popular tourist attraction in the state. During the mind-numbing 75 mile an hour, 114°F portions of laser-straight desert highway I found myself thinking about relevance. Each of the historical sites we took in seemed to be clutching at their own relevance. London Bridge has become a displaced orphan, serving the tourist trade but without any practical purpose. 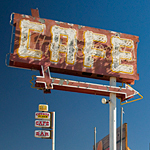 Route 66 has long since been "declassified" as a highway and struggles to maintain even a semblance of its former glory. Of these three, only the Hoover dam remains critically relevant. How many man-made objects, created long before I drew breath, can be placed in that category? And what about my life? Is it even relevant today? Or will it even be a footnote in some historical reference? Can I hope to leave a legacy that is relevant long after I am gone? Maybe this is too much thinking for a Parkinson's diseased brain crammed into a confining helmet for too many hours in the hot sun. 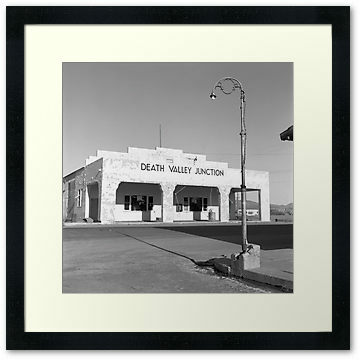 Through the shimmering heat of the late morning stood the sun-baked buildings of Death Valley Junction. 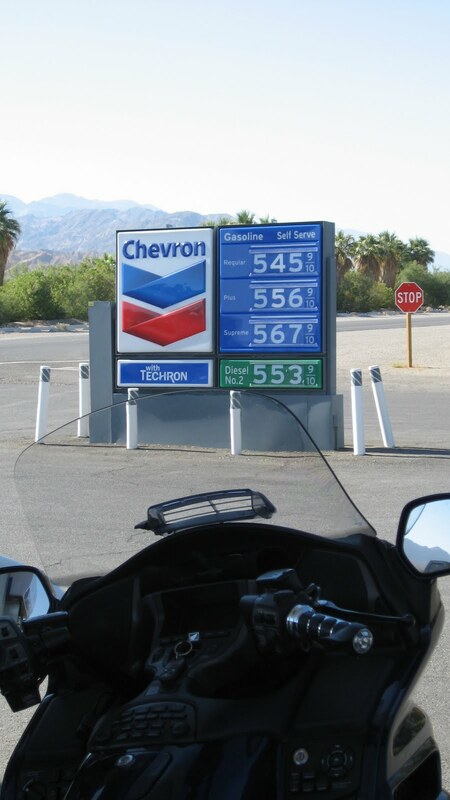 It was to have been our next refueling stop on our way heading east out of the dramatic scenery and high priced gas of the desert. There were only 3 of us now, with the remainder having cut north on their way back home. 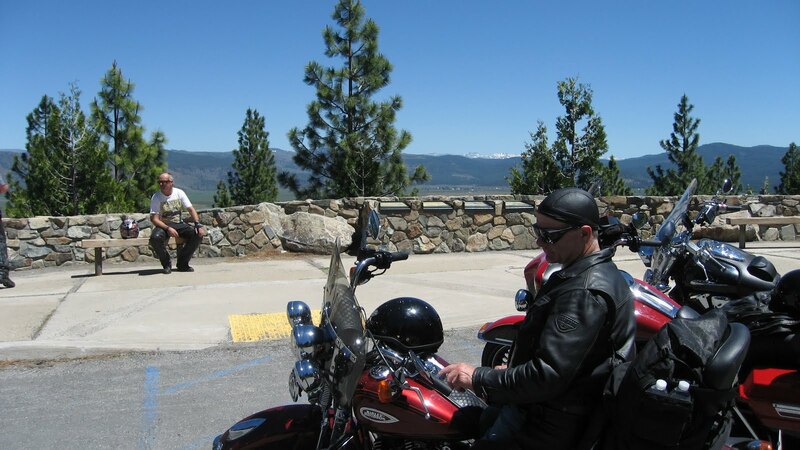 Ralph was a mile short of our proposed stop when his Harley-Davidson Springer had drained its reserve gasoline tank and stalled on the shoulder of Highway 190. Leaving Ralph and his immobilized machine on the side of the road, Jim and I drove into the Junction in search of a gas station. There was none. In fact, there appeared to be little in the way of life at all, with a somewhat ramshackled motel and an even more dilapidated café being the only businesses that appeared open. The next available fuel was almost 30 miles away. But after some persistent pleading, we were loaned a small siphon hose. 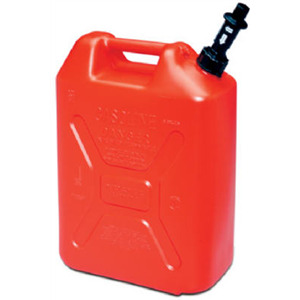 In short order we used it to drain gas from my tank into an empty water bottle and then into Ralph's motorcycle. "More than enough to get us 30 miles", we thought. Before going on, we wheeled back into Death Valley Junction to return the hose to its owner, who appeared to be spending the morning talking to several other locals at the café. While we were anxious to press on, having already completed a whirlwind tour of several wonders of Death Valley (the Sand Dunes, Artists Palette, Devil's Golf Course and the lowest point in the Western Hemisphere, Badwater), we were also very thirsty. Anything cold to drink would have been sufficient, however, the portly young lady who served us proudly announced that she had just made a fresh batch of lemonade. It proved to be delicious as we each guzzled 4 or 5 large classes, after which we decided to have an early lunch there as well. For a town that appeared to have run out of gas, literally and figuratively, it continued to evidence a small spark of potential, as if surviving on hope through an unknown siphon hose. The heat, gusting winds and higher than normal speed seemed to consume more fuel than we had expected. Only 20 miles up the road I looked back and noticed Ralph fading into the distance and then stopping. He was out of gas again due to our inaccurate estimate the first time. We were now almost 10 miles short of Pahrump, Nevada, the nearest gas station. Again, Ralph was left with his stricken bike by the side of the road in the 100° F (38°C) plus temperatures, while Jim and I went to find fuel and a Jerry can to carry it. We arrived mid-afternoon in Las Vegas, a mere 200 miles (300 km) for the day. Exhausted, scruffy with several days’ beard growth and our clothes sweat completely through, we looked entirely out of place. Only after some effort did we convince the young woman behind the desk to let us check into the Silverton Hotel and Casino. Our main reason for coming to this gambling Mecca was not to put coins in a slot machine, but rather to buy a replacement for the bald rear tire on Ralph's bike. Heat and highway speeds tend to almost melt motorcycle tires and there is nothing more critical than the rubber that grips the road on each corner taken. At the end of the day we shared a fine, inexpensive, prime rib dinner, and spoke about times in life when we had "run out of gas". These were times when we did not have the natural resources to go further so needed to help of others; friends or family from whose gas tank we could siphon a little precious fuel to make it further along the journey. Without them we would have been left in some figurative desert alone. 4 PM and it was 120 F (48 C). 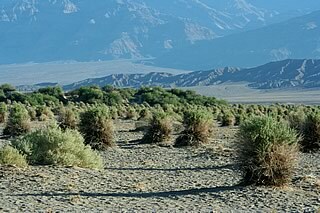 And that was in the shade, of which there is precious little in Stovepipe Wells, Death Valley, California. With the wind blowing hard off the desolate terrain that surrounded us it felt like a furnace door had been left open. It was almost painful, leaving my lips parched, tasting only droplets of sweat as they slid down my face. Stopping our decent into the desert just to get a bottle of water to rehydrate our sweat-soaked bodies I returned to my motorcycle to find it too hot to touch without gloves. I suddenly had no difficulty believing in spontaneous combustion and frying eggs on the hood of a car. Our bodies were in shock, having climbed to the height of Yosemite’s passes at 10,000 feet above sea level, where the recently snowbound road had only been made passable last week, to the inferno the second lowest spot on the earth’s surface. In the space of 3 hours we had experienced both speeding past snow banks where it was 40 degrees (6 C) and screaming over a wasteland and through the hottest temperatures any of us had known. The juxtaposition of scraping at the very door of the heavens one minute and descending to the brink of hell’s fires the next left us staggering and wrung out. The day’s ride had stretched us in ways we had not imagined. The landscape’s diversity was also evident in the people we met. 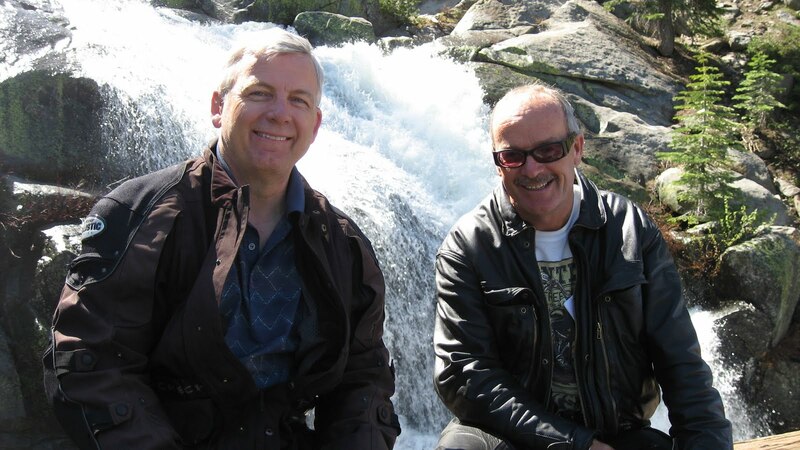 The mountains of Yosemite and their magnificent waterfalls had introduced us to a local reporter who interviewed Jim on what had caused him to come to the park while we all posed for his photographer to snap a group photo. The deserts of Death Valley had us cross paths with a solo biker riding around America on his Honda Fury loaded down with camping supplies. Nick sported a shaved head under which had sprouted a scruffy mid-length beard. Although he was obviously anxious to talk, after I asked him about his motorcycle, he was slow to smile. I soon guessed his motivation was to avoid drawing attention to his solitary tooth that stood stark, stained and lonely as its owner. He spoke with a drawl and looked every bit a pirate, although more friendly than fierce. His eyes spoke of a human hard luck story that I would never hear, but I was enriched by the few words he shared. The day, like life sometimes, demanded adaptation to vastly varied circumstances as well as accommodation of amazingly diverse personalities. My journey, both in life and today, has never been monochrome but rather a kaleidoscope, never a simple piper’s tune but a complex symphony of fury and finesse, sometimes lush as an alpine forest wringing the sustenance from melting snow and sometimes arid and bleak as a barren wilderness struggling to stay alive. Like Jim says, “It is all good. We can enjoy and learn from each landscape we find.” If I allow it, each scene and character I encounter can be an etching on my soul. We stood in the shade of a Cottonwood tree at the point where the road we had taken off the main highway ended, at least the pavement part of it. We were en route to Arnold, California, having enjoyed a late morning coffee break at a small town with the auspicious name of West Point (adjacent to a town inauspiciously named town, "Bummerville"). For sleek and powerful machines like the touring motorcycles we were riding, anything less than smooth asphalt is usually avoided at all costs. But here we were. The way forward was not paved, but consisted of an uncertain distance of loose gravel. After our multiple experiences with backtracking due to snow, we were not predisposed to giving up without at least trying. The name of the way ahead was Summit Level Road, apparently a distance of some 8 miles away from our proposed lunch stop at Arnold. The time was just after noon, and the searing sun is at its highest in a cloudless sky. No one suggested that we give up so we pressed our bikes forward onto the unfamiliar surface. Traction was difficult at times due to the lack of any appropriate tread on the smooth road tires. Turning proved challenging as every attempt to steer in any direction but straight ahead was greeted with an immediate loss of balance that threatened verticality. 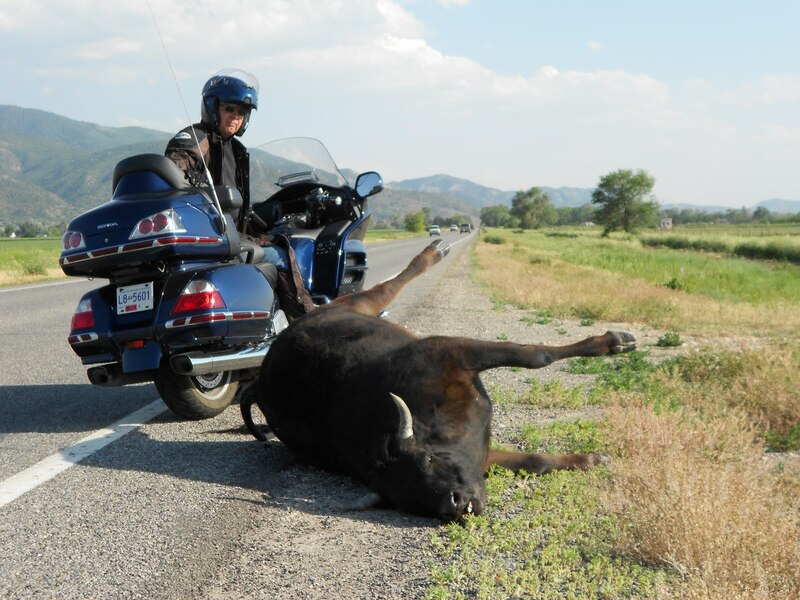 Stopping was unthinkable, except very, very slowly, which is not usually the way one stops a motorcycle. The road seems to be more like a farmer’s tractor path over fields and through the woods, with very steep grades and unbanked, hairpin corners, in most places just wide enough to accommodate a single vehicle. Progress was slow at a pace of no more than about 5 mph (8 km/h). Gravel turned intermittently into rutted red clay, then back again to a variety of loose surface material. 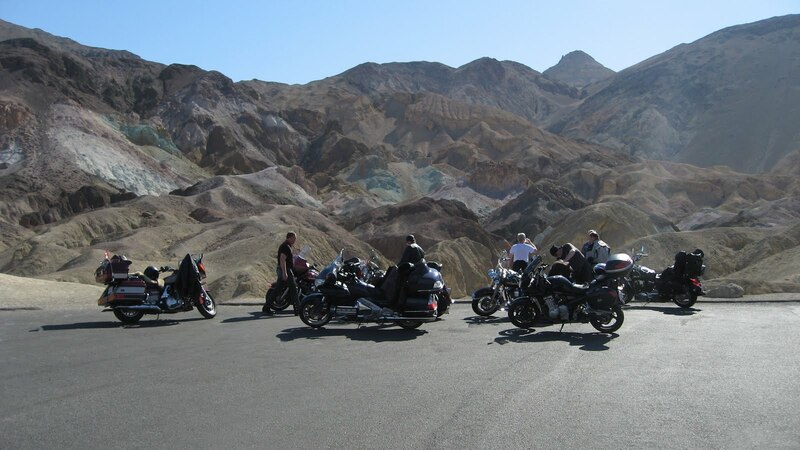 If careening around sharp highway corners on a motorcycle demands focused attention, riding on this terrain proved doubly stressful and demanding. Approximately an hour went by when I encountered a grader scraping the red clay road surface, apparently to remove the murderous ruts and even out the cursed gravel. The operator noticed me with some amazement and motioned me by his wide blade, having left me only a few feet of road to do so. I was tempted to stop and motion him to make his way by me, but thought better of it given the vast difference in the size of our respective "machines". Instead, I stopped adjacent to him and asked about the condition of the road ahead. His response was not encouraging. "It will be difficult for that bike of yours. It gets worse up ahead. It will take you quite a while". My reaction was to get directions to the closest pavement, to which he responded by reeling off a string of street names (which I later determined may have been accurate but were rarely displayed in any easily visible way). Of course, we did make it to Arnold. It took 2 hours in 100 degree Fahrenheit (36 C) heat. "Lunch" was replaced with a milkshake as we discussed revision of the day's expectations. The 8-mile journey overshadowed the exhilarating morning spent experiencing the curves of Highway 88 and we were all exhausted from the "off road" ordeal. We traveled another 30 miles to Sonora, California, anxious to call it a day after covering less than 200 miles. In some ways, being diagnosed with Parkinson's diseases is like reaching the end of the pavement. The smooth surface on which my life had traveled had some curves and unexpected occurrences, but it was nothing like I was to face on the rougher road ahead. 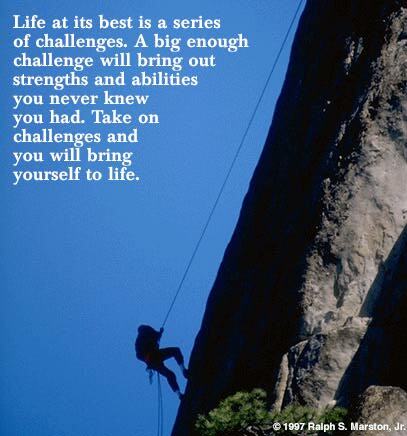 At times I felt ill-prepared, afraid and doubtful about my ability to make the necessary transition. Since then I have learned, and continue to learn, that when you reach the end of the pavement in life there is plenty of adventure left on the road ahead. But it will take faith, hope and determination. There will be times when one is tempted to turn back, mourning the loss of ability to travel on even surfaces at high speeds without a seeming care in the world. But if one is to reach any desired destination, one must go forward on the road we encounter. 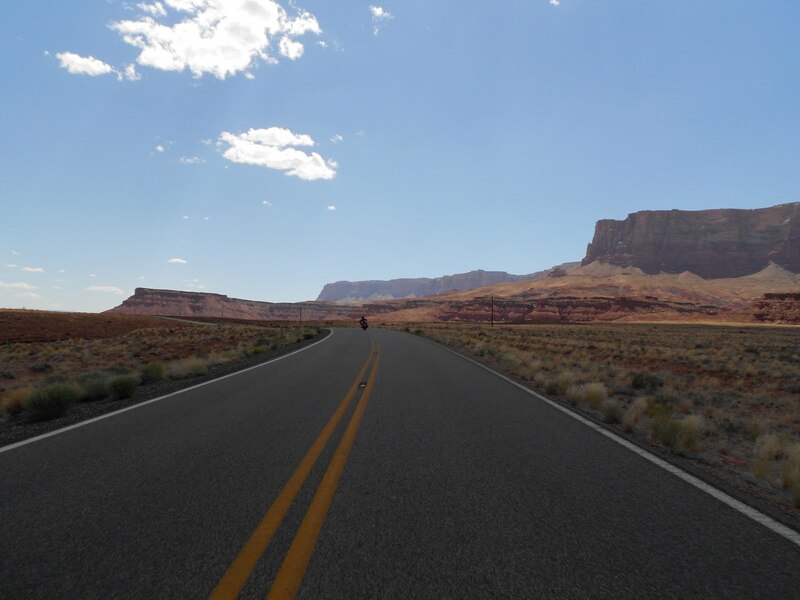 And in the end, when I look back on this journey, both today's motorcycle trip and in life, I will remember and recite for others the stories of what lay beyond the end of the pavement. Up at 5:30 AM to prepare for an early morning conference call, it was an earlier day than usual. But by shortly after 8 AM we were off in pursuit of some of the best twisty rides the Northern California could offer a few Canadian motorcycle enthusiasts. 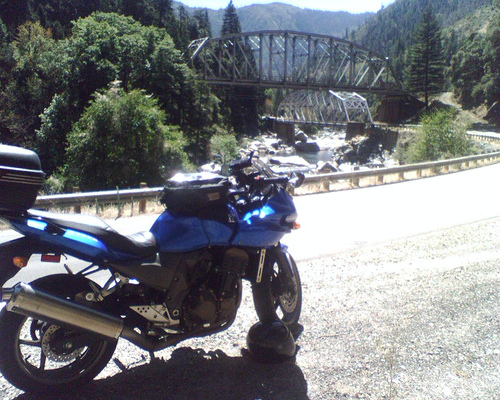 We were not sure how we could beat yesterday's ride down the Feather River Highway 70, but we were determined to try. Swooping along the shore of Lake Oroville we had to concentrate on the road rather than gawk at the proliferation of summer houseboats with their occupants getting ready for a day of water sports. But that was just introduction to the day of peg-grinding rides. We were headed towards Grizzly Summit at the top of Highway 119. But after 45 minutes riding around some of the tightest curves roads so far, we were again blocked by snow before we hit the summit. 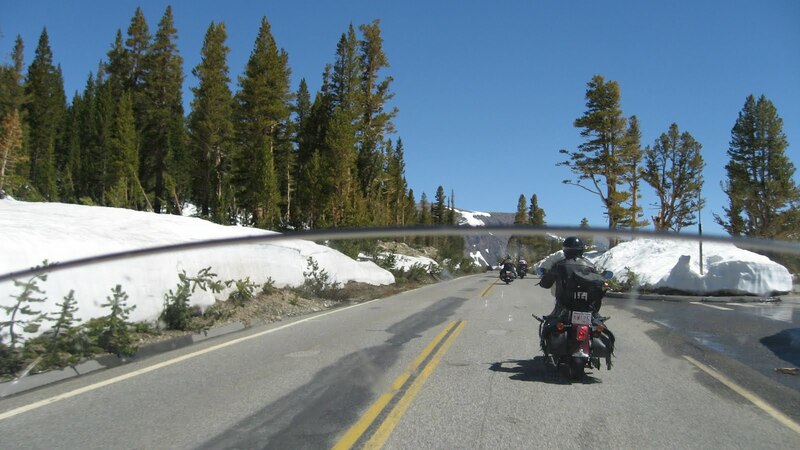 With temperatures reaching 100 today a few miles away, it was hard to believe that the California mountains still had snow blocking a number of passes normally traveled by tourists this time of year. 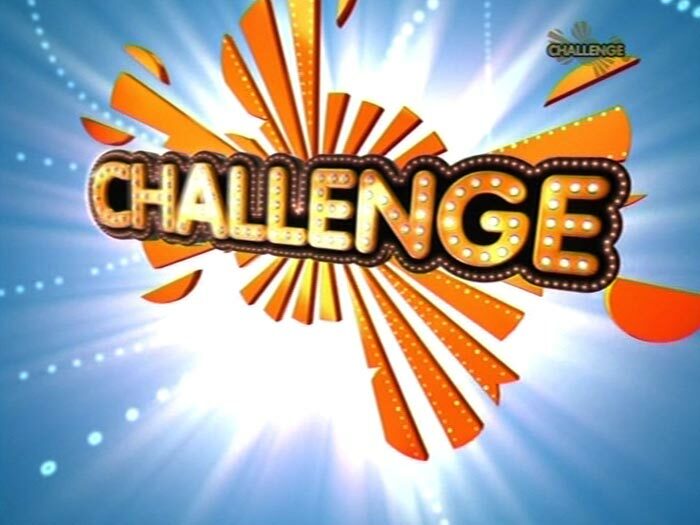 One challenge literally led to another. Backtracking off the snowbound summit, and then being detoured along the western foothills of the Sierra Nevada mountains, we anticipated getting over the pass on Highway 120. But smarter this time, we asked a local old-timer from Forbestown whether the road was clear of snow. He advised us that many of the passes were never cleared by snowplows. It is just allowed to melt at its own pace, presumably because it cost the economically strapped California government less. But our mountain "guide" was certain that the pass on Highway 49 was clear, having just gone that way recently himself. Listening carefully to his instructions, a short distance up the road we passed through the town of Challenge, which seemed at the time both fitting for the struggling village, as well as for a few bikers searching for the snow-free way across the mountains. The newly chosen route proved to be almost perfect. Apart from a few miles where some sadistic civil servant who hated motorcyclists had spread loose sand along the road surface to cover tar strips, the trip was heart pounding. Even the split-second glimpses of awesome sheer cliffs, cascading waterfalls and distant snowcapped mountains pointing into blue skies could not draw us away from the exhilaration of bearing down on each corner as it came. It felt as if we were cutting into the asphalt as we thrust ourselves and our machines into each curve, "driving our bikes, not just riding them", as one of our number stated. We were like the river beside us, arching and twisting around rock faces and boulders, digging into the riverbed and leaving its mark as it plunged down from the 6700-foot-high pinnacle to its destination. Exciting is too limited a word to describe this part of the journey. At the end of the 70-mile slalom course along the North Yuba River Highway 49, Jim remarked that it was probably the best riding he had ever experienced. 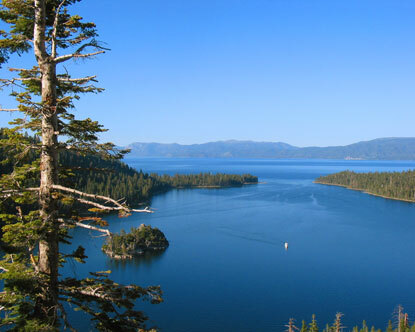 And like that river, we too found our destination and place of rest at Lake Tahoe. Although we only traveled 250 miles (400 km), we were exhausted from the physically and mentally challenging day, but the Knights of the Open Road all wore telltale grins on their windburn faces. It had been the best day so far, a day when my Parkinson's disease was but a faint irritation, a mere inconvenience. It was shortly after 9 AM and the temperature began falling as we climbed higher up what seemed to be a deserted mountain highway between Macdeol, California, and Highway 89. Suddenly, as we came around a bend in the road, the snow lay in our path as if strewn there on purpose. There had been no signs to indicate the road was closed despite the fact that the snow had obviously drifted across the roadway some time ago. It had not been cleared, perhaps because of some slashed budget, nor yet melted in the mid-June sunshine, a clear indication of the lateness of summer this year. Despite considering it for a few moments, getting through even the first drift would prove extraordinarily difficult. Hiking up the road further it became obvious that any attempt to go further would be foolhardy as the drifts increased in-depth to well over 2 feet. 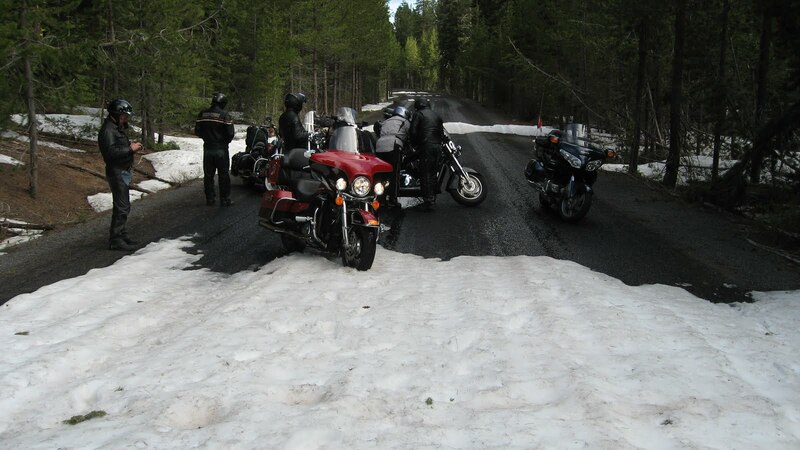 Touring motorcycles do not work well in the snow so we would just have to turn around and retrace our steps by 30 miles to the main highway and head further south. This seemed to be the opposite of the Father's Day present we had wanted. Jim quickly reminded us that we had nothing to complain about. We all agreed. But before we could turn around and leave two cars drove up behind us. Several Mexican men and women got out to survey what we knew to be an impassable barrier. However, due to a barrier of a different kind, (they spoke very little English) Jim (who spoke even less Spanish) was unable to convince them that attempting to get through would be ill fated. They got back in their vehicles and one of them took a run at getting through the first snowdrift. The inevitable result was captured on video. He just managed to get his front wheel drive tires buried up to the axles. No chains or rope were available to tow the stuck car out of the snow, but the driver pulled out a set of jumper cables. We watched with astonishment and recognized that this fellow had obviously never before been stuck in the snow. After considerable effort we were able to get the car out of the snow, whereupon the vehicles turned around and headed back the way we knew we would have to go as well. Our day had started sunny and warm, which was only appropriate given that we had crossed the Oregon border into California earlier this morning. But twice today our intentions to enjoy several of the windy mountain roads near Mount Shasta were thwarted. Alas, motorcycle journeys, like life, rarely turn out exactly as planned. We have to be able to adapt, to accept disappointment and move on. There is a reason. My experience with Parkinson's disease assures me of that. 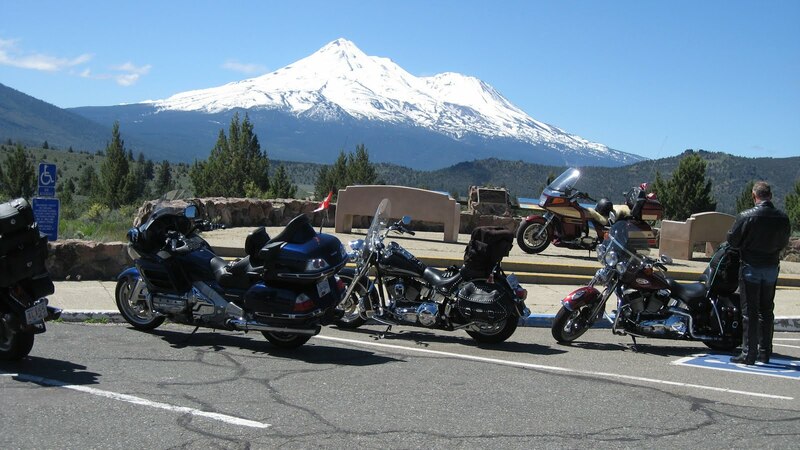 We ended up getting a panoramic view of Mount Shasta and a spectacular shot of our bikes in the foreground. We also saw a lot more of Northern California countryside than we had expected. 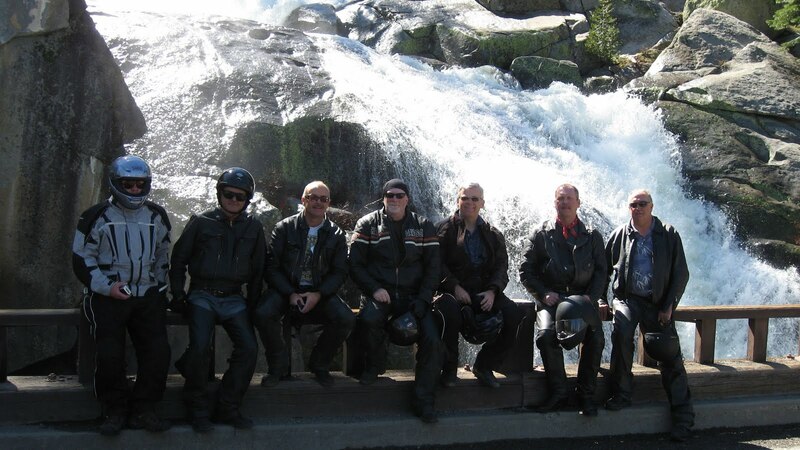 If things had not exactly turned out as we had planned in the beginning of the day, the last portion of the ride from Greenville to Oroville along the Feather River Canyon was extraordinary. 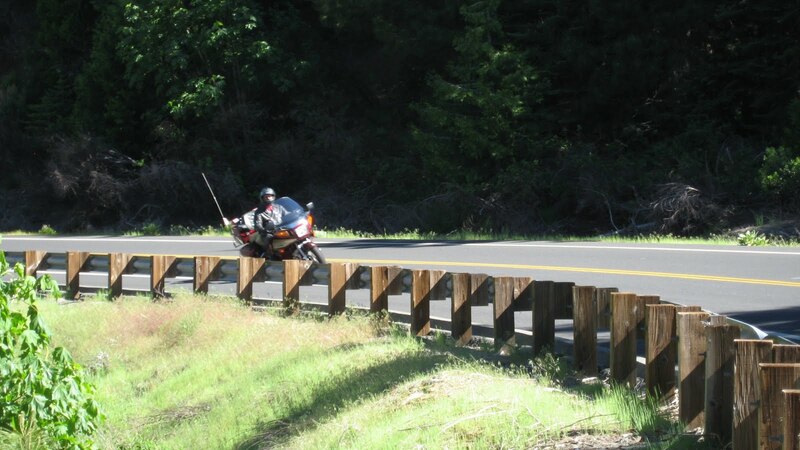 This particular stretch of highway is rated the third best motorcycle road in northern California. It definitely lives up to its billing. The road swooped down along the cool river’s edge for long stretches, the asphalt endlessly punctuated by 35 and 40 mph corners and numerous narrow bridges before scaling the canyon wall into the blazing sun and nearly hundred degree temperatures. The highway seemed like more of a roller coaster than a Route 70. It was magical. It was almost 6 PM when we arrived Oroville, about 375 miles or 600 kms (with some backtracking) further along on our journey. The day had been a kaleidoscope of experiences; from deflating to accelerating, intense to exhausting, but in the final analysis it was a great Father's Day.